Turtle Feeder™ | Zoo Med Laboratories, Inc. 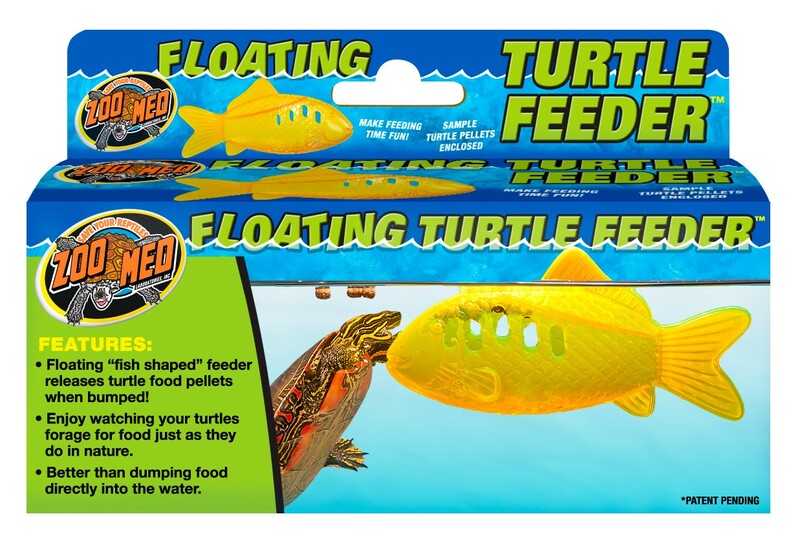 Zoo Med’s Floating Turtle Feeder™ makes feeding time Fun! Floating “fish shaped” feeder releases turtle food pellets when bumped! In nature, turtles forage for food and often use their front legs to help get their food. Translucent orange, allowing them to see the food pellets inside. No longer do you have to simply dump their food into the water. Provides a revolutionary new way to feed your pet turtle. Enjoy watching your turtles forage for food just as they do in nature. Better than dumping food directly into the water.